Â±0.5 dB gain stability. This configuration is similar to Figure 29. AD8319. This voltage, VOUT, has a range of 0 V to near VPOS. 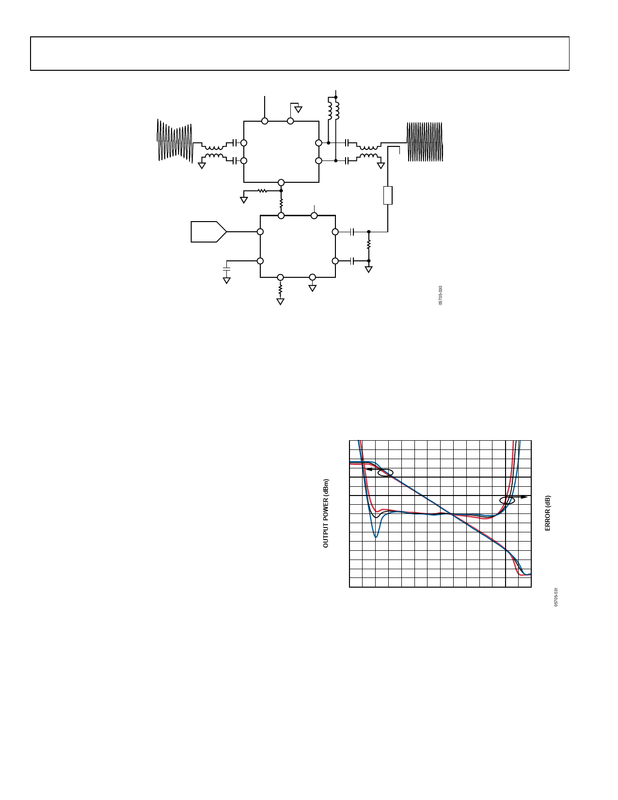 0 V to 1.4 V gain control range of the ADL5330. Figure 31 shows the transfer function of the output power vs.
to demanding a higher signal from the ADL5330, increases gain. range limitation is due to the dynamic range of the AD8319. the necessary voltage levels to the ADL5330âs gain control input. corresponding to a setpoint voltage at the AD8319 of 1.3 V.
the ADL5330 is a 1 GHz sine wave at a power level of â15 dBm.